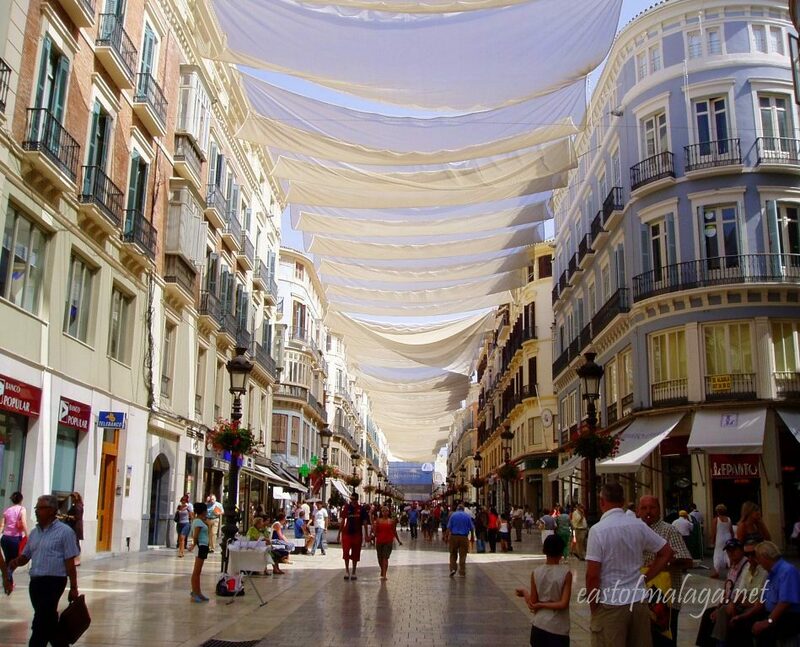 Here you can see Calle Marqués de Larios, in the heart of the city of Málaga. This elegant pedestrianised shopping street is shielded from the glare of the summer sun, by canopies hung across the street. It is a welcome relief during July and August to be able to stroll around in the shade. The pale blue building on the right houses the Cafetería Lepanto, which serves up a whole host of delicious pasteles (pastries and cakes), ice creams, sweets, chocolates, coffees, teas and other drinks to manicured Malagueños. It’s always a favourite place of mine to stop off for a treat! What’s your favourite photograph, and why? Do you know of another great coffee shop in Málaga? What a wonderful picture! If I came would you be a tour guide a bit Marianne? Now singing ” Someday over the rainbow!!! “Thanks! What a clever idea, yet it’s so beautiful! That is a beautiful shot! I definitely wanted to step into that photo. Malaga is such a lovely city, and often overlooked by tourists to the area, who just use the airport for transport and then move on to other places such as Granada, Seville and Cordoba. I often travel into Malaga for the day – I love it! What a splendid city and a terrific shot! Glad you enjoyed your trip to Malaga, Paula. I always love a trip to the city for the day. Oh wow! Makes me want to get there now! It´s much more pleasant walking down the main street with the shades to protect from the hot sun, at this time of year. Hope you get chance to come, Madhu! OHHH … I´ll give Casa Aranda a try next time I´m in Málaga. What a great website they have! I can absolutely recommend living in Málaga city or province as an expat. You are going to love it! they have good churros too. yum.